Built in 1983, the 3,000-seat Ko Shan Theatre is the most popular Cantonese opera theatre in Hong Kong. 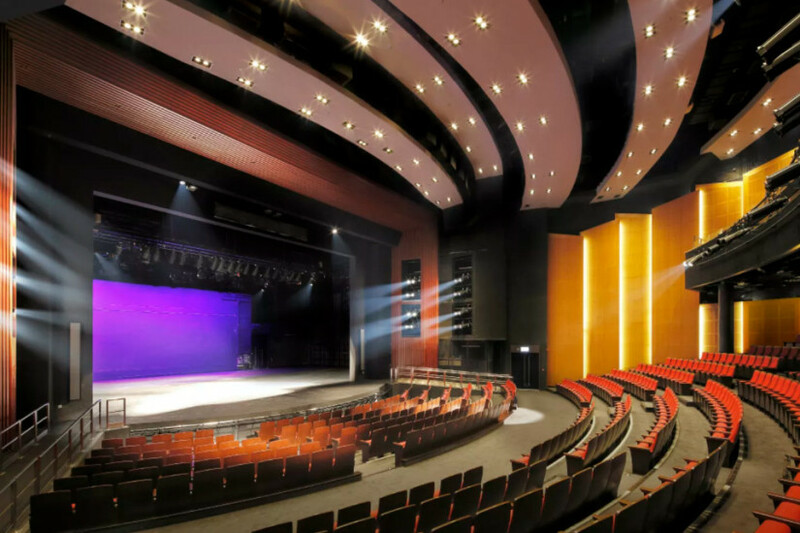 The new wing expanded the complex with a 600-seat theatre that boasts orchestra and balcony levels, a full height fly loft, twelve dressing rooms, three rehearsal rooms, three practice rooms, an exhibition hall, a function room and a resource centre. The project was certified Building Environmental Assessment Method (BEAM) Plus Gold by the Hong Kong Green Building Council. The multi-discipline team incorporated superior acoustics and excellent sight lines for every seat in the new theatre. Additional services included theatre planning, stage engineering, performance lighting and audiovisual systems.